Our guest shares how he found fulfillment of a Bible promise that we are all rooted and grounded in divine Love. You can hear how, after years of suffering from an abnormal growth, our guest experienced an insight into the nature of God and the perfection of God’s creation that dissolved the problem overnight. 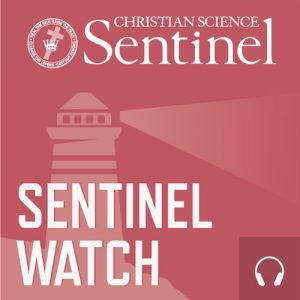 If you have ever felt stuck in a long-standing problem without a solution, make sure to tune in to ​the next edition​ ​of​ ​​Sentinel Watch. Click here to go to the weekly podcast player.